The word Meditation is derived from Latin word “Meditatio”, which means to concentrate, devise, contemplate, etc. Meditation may mean different things to different people. It can take various forms for many people. But the result is always good. It helps to improve concentration, focus and make us more immune. It is utterly beneficial for a healthy lifestyle. Especially for people living in metropolitan cities, having a monotonous life-style, it is found that they are in extensive pressure and often frustrated. This can often lead to serious health problems. Being able to cope up with the fast-moving lifestyle and maintain peace of mind is very important, and mediation can prove utterly beneficial in this regard. We believe that Technology drifts us away from meditating and getting relaxed, but if you use it the right way, technology can prove utterly beneficial for meditating too. Here I have listed down those meditation apps which you can install it right now on your smartphone and start using it. One tip which I would like to give you: Make it a habit and start with 5 or 10 minutes of meditation daily. Initially it may be little hard for you to meditate as many thoughts will keep crossing your mind, I suggest you to let it pass by. Don’t try to force yourself to keep your mind blank, rather acknowledge all your thoughts and let it pass. Once you let them pass, you will be able to concentrate and meditate in the right way. 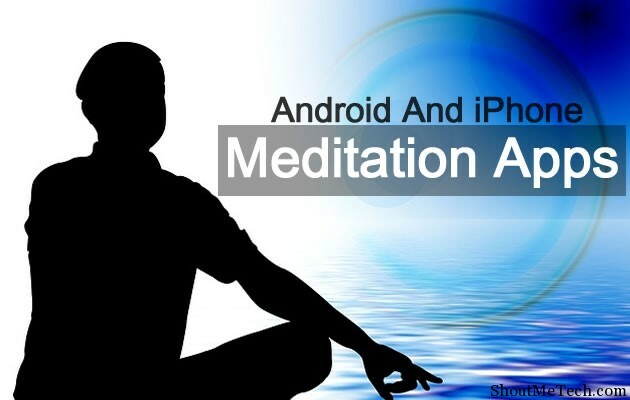 Here we will take a look at Android and iPhone apps, which can help you in meditating, providing you inner peace of mind and soul. You may choose one of these apps depending on your personal preference. 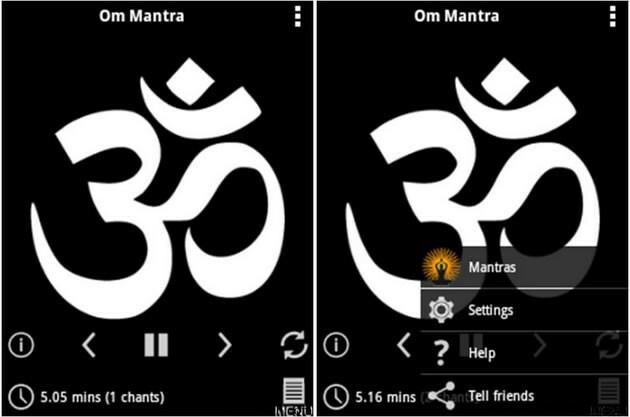 This Android meditation app is freely available and presents you with ten levels of meditation. When you first start, a soft sound indicates the start of meditation, with a quote on every screen and photo of Gautam Buddha. You can first read the quote and then concentrate and meditate either by closing your eyes or concentrate on the photo of Buddha. The text was little cluttered (may be because of the small screen device) at the home screen of the app. There is a timer running at each level. As soon as the time runs out, the soft sound is again heard, indicating the end of meditation. Users also have option to either turn their phone in flight mode or disable the sound of the app. This app is freely available for Android platform and is ad-free. It aims at chanting the powerful OM (aum) mantras to relax the body by meditating. The word OM (AUM) is said to be the only sound one would hear being in deep meditation state, and I believe it’s the best way to meditate. The app provides a Music player like interface. As soon as we start the chanting, a timer starts and also counts the no. of chants of the word OM. Just Like the Buddhist Meditation Trainer app, this app also provides an option for turning the phone in flight mode with just a single tap. 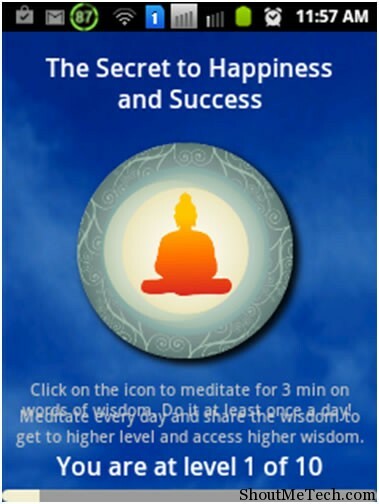 Starting the meditation is easy by tapping the app. As soon as it’s done, a timer starts with a screen displaying images of Lord Buddha and a quote. At the end of the timer, we hear a soft sound just like the Buddhist Meditation Trainer. 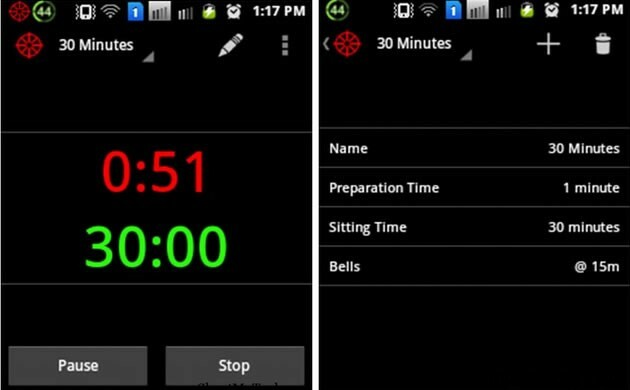 After the timer is over, you have option to share the app or end meditation. One feature which differs it from Buddhist Meditation trainer is; we can turn on a continuous chanting of the soft “beep” sound. Another thing, I liked in this app is the interface. It was good when compared to the previous app. A pretty nice feature about this app is; it gives a reminder that it’s time to meditate in the notification panel. Personally, I found it more or less same like the previous app, Buddhist Meditation Trainer. It’s often difficult to meditate, right? But, this app would be surely useful for you. 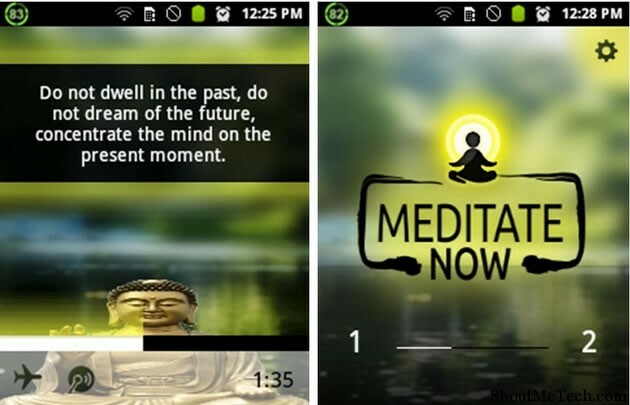 The co-founder of the app is a Buddhist Monk, who would teach his way to relax in just 10 minutes. The thing I like about this app is, unlike others, it strips down to the basics of meditating and would help you to meditate in a relaxed state of mind. Emma Watson is a great fan of this app, and so do many others. 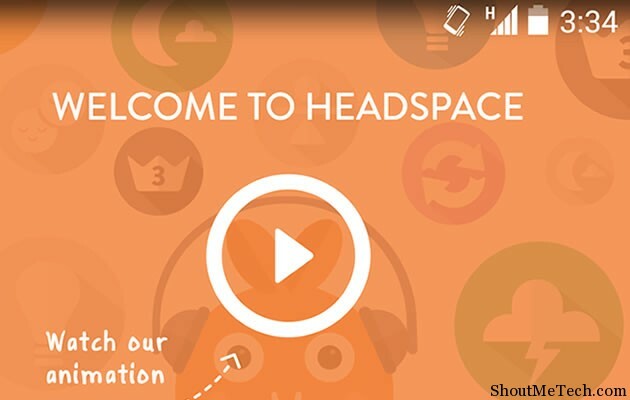 To know more, visit https://www.headspace.com/ . This app is available for both Android and iPhone. If I have to suggest you one app, this will be the one. Just find a quiet place and start using it. It is often difficult to stick to your goals in meditation. Meditation Helper is a handy app which can be used to set up custom timers each day for you to meditate. It lets you setup various options like, make your phone silent, make it to go to airplane mode, etc. when you’re meditating. Once you achieve the goal set by you, it lets you know, which can motivate you a lot. Once the timer reaches the goal set by you, you’ll hear a bell. You can also set bells in between the intervals if you prefer, so as to know that how much time has passed. Though this can be useful for many, I don’t personally prefer it. Rather than setting up bells in between the timer, it’s better to set a bell just at the end of the timer. This way you would not be disturbed in between. This app is available for Android, iPhone, and iPad. Indeed a very good app which would teach anyone the art of power napping. Power naps can provide you with a lot of energy and enthusiasm. It also offers a timer which user can adjust according to his needs. Along with this, the alarm feature is also provided to prevent anyone from going into the deep sleep. This app is available on iPhone, iPad and Android. 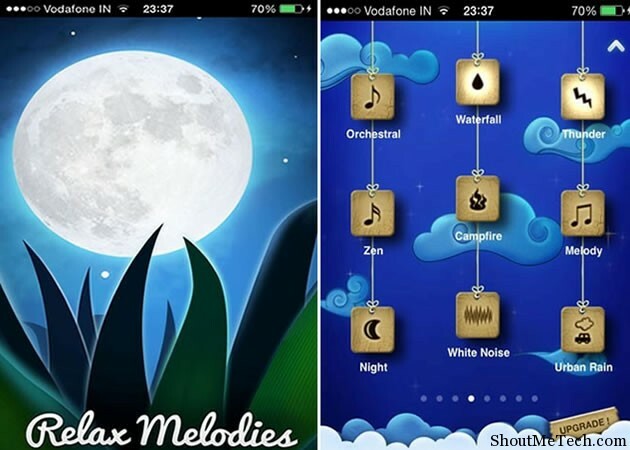 This app let’s you choose from a variety of music and guide you through a step by step process to meditate. Guiding you about various breathing techniques, you can easily learn meditating to keep yourself calm throughout the day. When you switch on the timer on the begin tab, the app guides you about the breathing technique, which would appear on the screen with auto-scrolling. Then you can hear a soothing voice, which would further guide you. The overall UI and performance of the app is good. This app is available for Android, iPhone and iPad. The uniqueness of this app is reflected by it’s name itself. 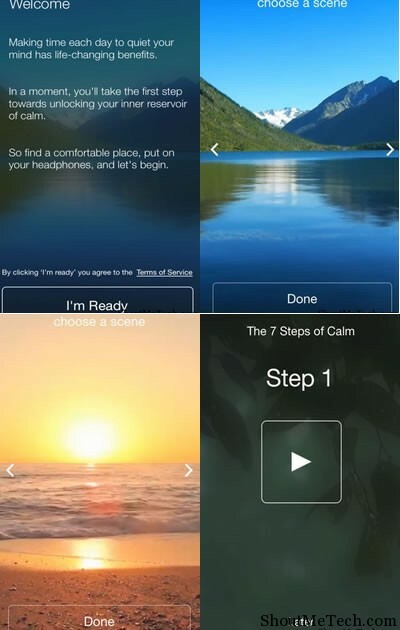 This seven steps app would help anyone to meditate using beautiful images in the background with a pleasant music. It also offers a guided session to let people relax and meditate. Kip Mazuy has offered music in this app, which makes people fall in love with it even more. The app is available for iPhone and iPad. 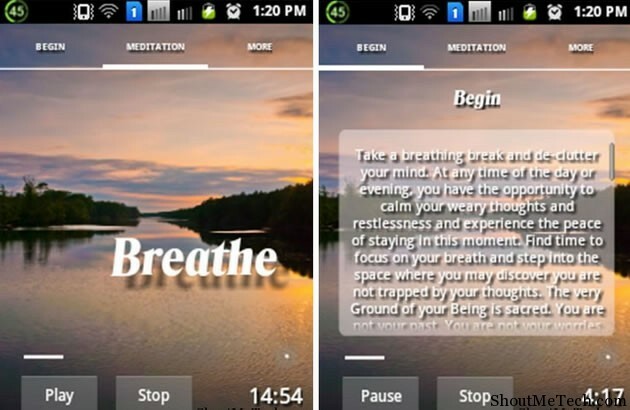 A greatly designed meditation app, where woman’s voice would guide you to get relaxed. 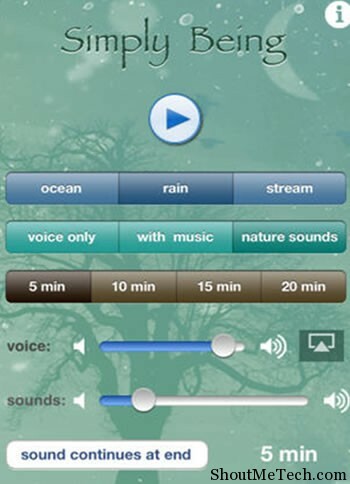 Not only this, but the app also offers to add some natural sounds like that of oceans, trees etc. You may also add some music as per your choice. This app is available for iPhone and can prove a really great app for anyone. This one is an iPhone and Android app, pretty much different from all the above. 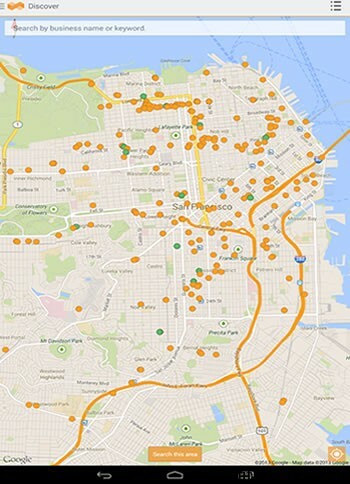 This would help you in locating nearest yoga or meditation centre near you. Specially designed for US people, this can provide a quick way to locate centers and pay for it right from your phone. Now, what are you waiting for? Just rush to the app store and download these apps for meditation right away! Life has really become tough for us, we’ll always be busy in one or the other thing and such apps would always pop up in front of your eyes, making you realize that you should meditate. Hope that these would help you in meditating and stay healthy.